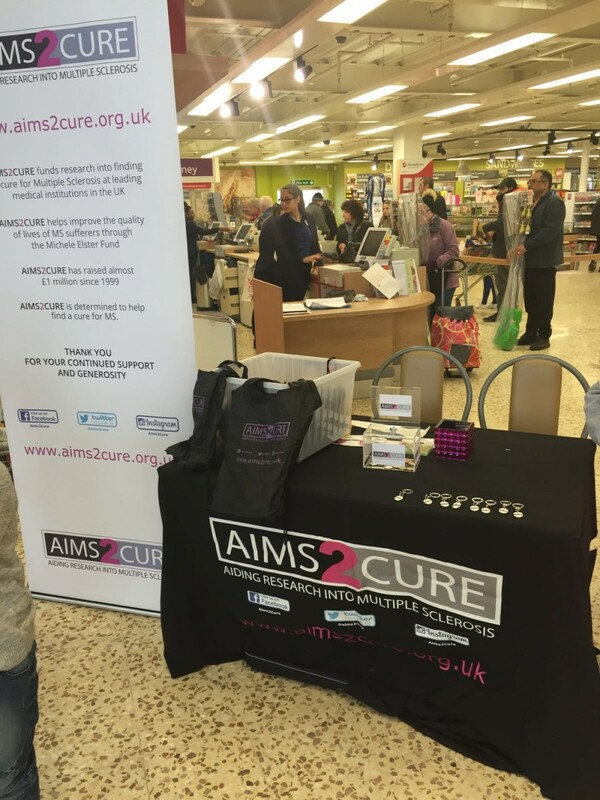 Aims2Cure were excited to be at Tesco Extra in Borehamwood on Saturday 5th March doing yet another bucket collection. 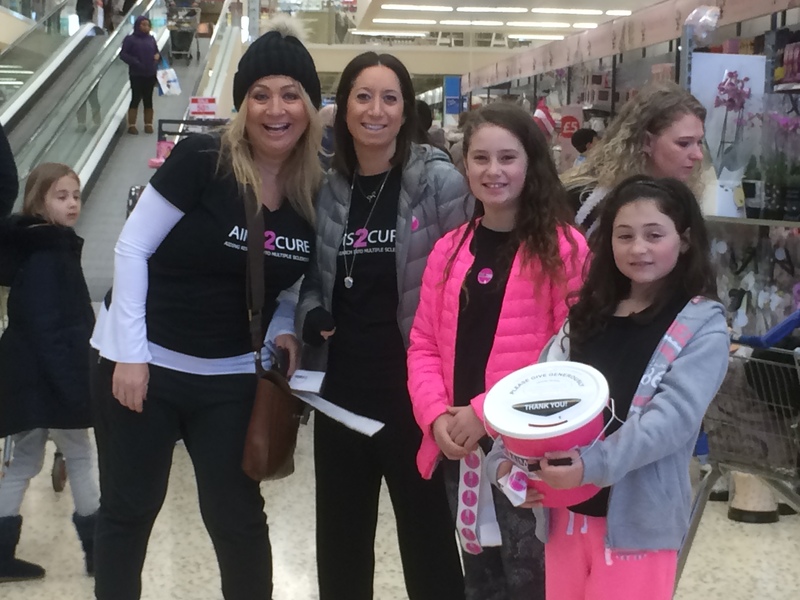 The Tesco staff were extremely helpful and happy to let us take over their reception area all day. 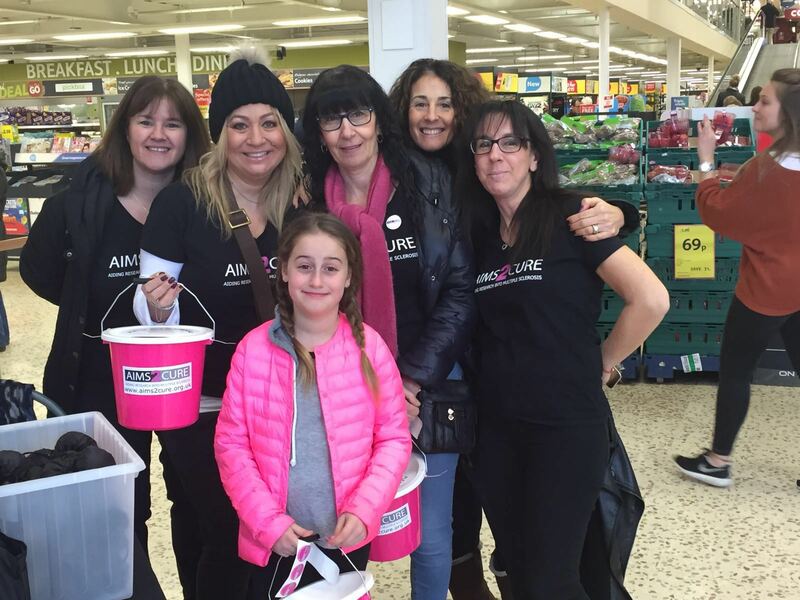 We would like to extend a huge thank you to all the customers who stopped and donated to Aims2Cure and told us their stories. It was humbling just how many lives had been touched by Multiple Sclerosis and gave us even more reason to carry on with our fundraising and commitment to finding a cure.